What can we expect to see from Left or Right over the next year? 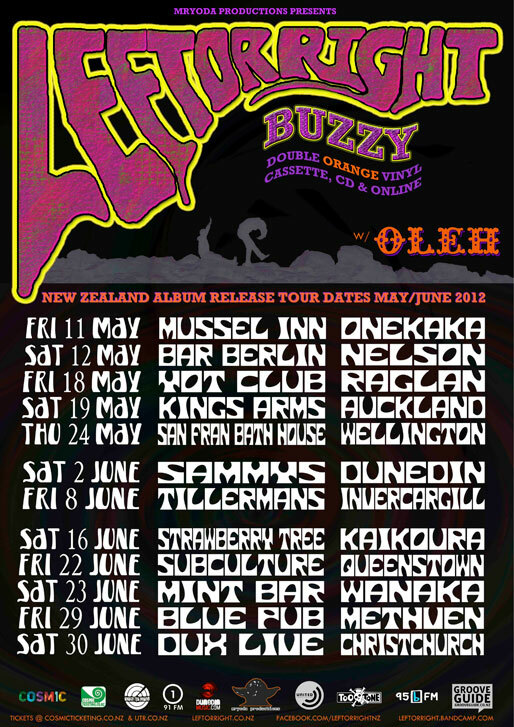 A short tour of Australia later this year, an extensive summer NZ tour in early 2013 + a bunch of writing and jamming new material for our 3rd record. What will Left or Right’s next release be? I'd imagine it'll be our third album, released on 12" Vinyl, CD & Cassette as well as onlline. Don't ask me when that will be though! I personally enjoy sometimes using Buzzy Dreams as a starting point for lyric writing. There seem to be no boundaries when writing from dreams. Also if the lyrics turn out rubbish, the other guys will soon let me know! ZZ Top would be phat. Those cats have got to be one of the longest running bands ever - same three dudes all the way! Red Cliff Café, Te Anau: The hospitality is second to none. The staff are exceptional and are always great company. It is also probably the smallest venue in NZ (Metz has to build his drum kit upwards instead of outward). They look after you so well there that you generally play between 3 and 5 sets. Mussel Inn, Onekaka: Again the hospitality is amazing. The food is outstanding and Mussel Inn brewed beers and ciders are incredible. Ask any band that has had the privilege of playing there and they’ll have nothing but good stuff to say. Sammys, Dunedin: On a big night at Sammys there is nothing quite like it. We held our Dunedin album release show for ‘Nuggety’ there back in 2009 and it was a magical night with an epic line up of bands & DJs. It’s always nice to play up on a big high stage too. We are doing our ‘Buzzy’ album release show there too. Yot Club, Raglan: Choice venue. There is a beer on the table upon arrival, a bag of beers to chill with before the show and more beers to drink when you play your set. Always a late show too, it’s not uncommon for it to hit 10:30pm and you’ll still be wondering if anyone is going to show up and then BANG 11pm rolls round and all the locals come out of the woodwork. Pete Coddington is the man too. Playhouse Café, Mapua: A special mention to the Playhouse as I’m sure it is the only venue in NZ to have it’s own custom built backyard cricket oval which is able to host night test matches! Everything we could have ever wanted. The Phoenix Foundation and The Checks. 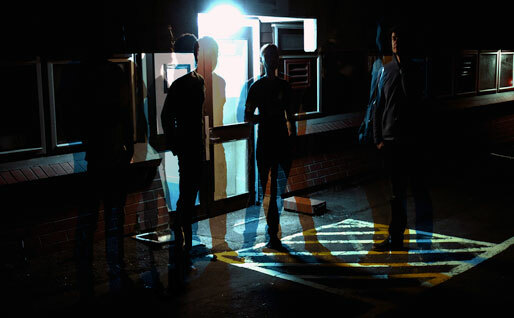 Two bands I took a while to get into but now really enjoy their entire back catalogs. Both bands write awesome songs. I'm also really digging anything Aaron Takona is doing at the moment, but who isn't?! That guys oozes class. Oh and any bands involved with our own labels annual music festival held in Dunedin - 'Feastock'. I don't have a CD collection but I have a pretty extensive Vinyl collection which I absolutely treasure! Once after a show in Ohakune back in 2008 we got horrendously taken advantage of by the two other bands we were supporting - who got us very drunk whilst playing a drinking game. I proceeded to urinate in the upstairs backstage area in front of everyone and eventually decided I was going to walk about 10km back to the accom. I woke up in a booth in a train carriage themed cafe surrounded by tourists either side of me. The West Coast of the South Island. Always a blast to tour the coast, the people are outstanding and the shows are usually buzzy as, in a good way! What rumour would you like to start about Left or Right? 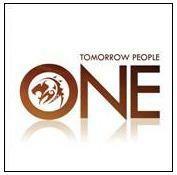 We've just been headhunted by an international act to support them on a tour of Asia & the Europe in late 2012. 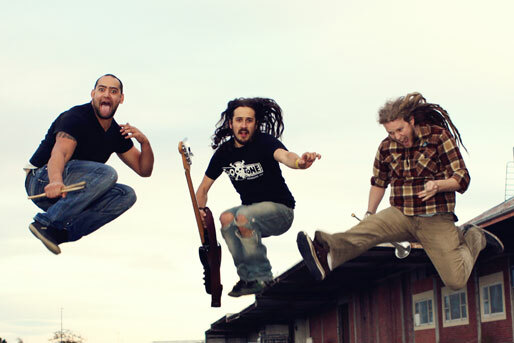 Left Or Right is Callum Hampton (guitar, trumpet, vocals), Metua Marama (drums, percussion, vocals) and Steve Marshall (bass, vocals). What will Force Fields’ next release be? Our next release will be an EP tentatively called INVERSIONS. We've recorded the beds and now just need to bang out the guitar overdubs and vocals and it'll be done. We've also written a bunch of new songs since we recorded those beds so perhaps we'll have to release two EPs in the coming months. Or perhaps we'll just combine them into one full-length. I try to shape my lyrics into little narratives. I love getting into the seam of the song and having a little universe contained within it. Of course, that's not always possible, that's just the goal really. Generally my lyrics will start out as a description of something that happened to me, but then I'll add and elaborate until it's somewhat fictionalized. I guess I might call my lyrics truthful fictions. Of course, sometimes I'll look at the words I've just written and realize that I have no idea where they came from. How do you describe Force Fields’ music? I would describe Force Fields' music as sonic pop-rock. I love quick, punchy songs using pop structures and melodies -- and I also love those rock epics that extend out and fold back upon themselves, like Built to Spill's 20-minute live cover of Neil Young's Cortez the Killer. That track is incredible! In our new batch of songs, we have a couple quick and punchy tracks, as well as a 10-minute epic. I love the Mighty Mighty in Wellington. They always treat us so well there. Lovely people. And I've played some of my favorite gigs there too. Saturday night shows there are always crazy and fun. The best part of being a musician is being able to play music on a regular basis. When I first moved to NZ, I was without a band for about 4 years and I really missed it. Now I have weekly rehearsals, and I find them very cathartic. It's great to be able to make a racket and sing at the top of my lungs and just get everything out of my system. Playing gigs is also a highlight of being a musician. There really is nothing finer than having a room full of people dancing along to my music. I also like it when I see people raise their arms and punch the air. I like a good air-punch. My record collection is a bit all over the place! Listening to these with some frequency these days: Laura Marling, A Creature I Don't Know -- Miles Davis, In a Silent Way -- Air, Talkie Walkie -- Rifles, Sketches EP -- Mastodon, The Hunter -- Elzhi, Elmatic -- Arcade Fire, Suburbs -- Tribe Called Quest, Beats Rhymes Life -- Of Montreal, Hissing Fauna Are You the Destroyer? -- and I recently did a couple web-videos for Lawrence Arabia The Sparrow, so I've heard a couple tracks from that, and they are excellent! Being Canadian, pretty much all of NZ is my favorite place! I love this country -- next year I'll be a citizen, so I'll be a Canadian and a Kiwi. Very exciting. But I love Welly -- I've lived here for seven years now -- there really is a good spirit in this city. For holiday, I really do love Onetangi Beach on Waiheke Island. Swimming there makes me very happy. Force Fields are Paul, Jeremy, Tere, Daryl, Matt P and Matt J. In an invitation only awards ceremony held at the Backbeat bar on Auckland’s K’Rd tonight (Wed 16th May), around a hundred industry guests including some of New Zealand’s best music managers got together to celebrate some standout successes from last year. Haddon Smith guided indie artist Annah Mac’s sweet single “Girl in the Stillettos” all the way to platinum - earning him this years award for “Breakthrough Manager” & Ingrid Bennie’s lateral thinking, saw her pick up the newly established “Outside the Box” category for the idea to create a David Dallas pop up store in Ponsonby to coincide with his album release. Home Brew Crew's highly anticipated self-titled album has made its debut at #1 in the NZ Top 40 album chart this week. Home Brew is the first local #1 hip-hop debut album since Scribe's The Crusader in November 2003. With little commercial radio and TV support due to the explicit nature of the majority of their songs, Home Brew's recent win has come off the back of strong digital album pre-orders and the now infamous 48-Hour Speakeasy album release party in Auckland over the weekend (where party-goers received a copy of the album with their ticket purchase), proving there can be commercial success by doing things a littledifferently. "I've always tried so hard to make the industry hate us and now we're number one - I guess I even failed at that," says Home Brew's Tom Scott. "It's def an honour, but I don't really care too much about the number considering last month One Direction were top of the charts. I just hope we've made something that resonates with people. Nothing's changed. Wake up. Make music. Back to life." South Auckland reggae band Three Houses Down has joined forces with one of the Pacific's hottest international acts, reggae singer Spawnbreezie. The 10-piece band has been working hard in the studio recording its latest hit, She's My Woman, featuring none other than the American star, who is of Samoan descent. Spawnbreezie, whose hits include Don't Let Go, Nobody and If It's You, is currently in New Zealand, where he has fast become popular with both young and old. Three Houses Down, made up of Tongan and Samoan members, has become a popular force on the New Zealand reggae scene; making regular appearances at top reggae festivals Raggamuffin in Rotorua and at Parihaka. After a huge online / viral buzz from his self-released single and video ‘Slow Wind’, Dawn Raid Entertainment is pleased to announce the signing of RnB/Reggae artist SWISS to a worldwide deal for the release of his new EP Mr Slow Wind through Dawn Raid / FMG / Universal Records. 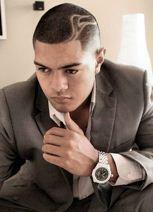 Currently residing in Brisbane, the 19 year-old Wellington-born singer of Tongan descent has gone from strength to strength, recently performing shows in Australia, New Zealand, and a four city tour of the United States plus supporting acts such as Nesian Mystik, J-Boog, Fiji, and 3 Houses Down. Swiss is also building a healthy fan base in the US and Hawaii as well as closer to home. The first single from the EP ‘Slow Wind’ hits radio this week and is set to be an urban smash with the video already having well over 197,000 views on youtube. May 26th marks the closing weekend celebrations of NZ Music Month and the opening weekend of Auckland’s newest, much awaited live music establishment, Paddington Live. To celebrate the launch, Paddington Live has enlisted kiwi songstress Anika Moa to christen the stage with her full band, plus, special guests Wellington indie band,Family Cactus will be kicking off proceedings. dDub Tour a Smash Hit! dDub sent it on back during their first NZ tour in over two years. The ‘Send it on Back’ tour which hit four of New Zealand Major cities including the sell-out Christchurch show was planned to celebrate the release of their new single ‘Send it on Back’ and was a major success. 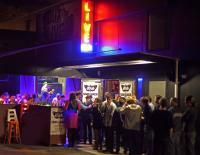 The sell-out Christchurch show at Dux Live, left hundreds lined up outside waiting to see the band due to the venue having reached maximum capacity. The atmosphere was buzzing and the band delivered a stellar live performance. Dux Live manager Ross Herrick was impressed by the turnout and said, " It was the best show since the venue opened after the previous venue was condemned due to earthquake damage." With a new addition to the horn section the band has its best ever line up. Fans across New Zealand who flocked to see the band were blown away by the live experience, Student Josh Ivey’s who attended to Auckland show said, "I have seen dDub many times and have both albums. Tonight they blew me away. This is the best concert I have ever been to!" Iva Lamkum & Bella Kalolo - one night only! Alistar took some amazing photos of Capital Punishment 3 for muzic.net.nz. Check them out here. The next muzic.net.nz newsletter is going out on Sunday 3 June! Feature space is available in our newsletters from 17 June! Muzic.net.nz newsletters are sent out to over 8550 members! The next muzic.net.nz gig mail out is going out on Sunday 27 May.